Intellisense is the best technology to ensure you sleep safe and sound, responding to temperature changes while you sleep. The body responsive temperature sensor maintains your chosen temperature precisely. ​Premium quilted polyester underblanket. Available in single, double and double express. ​Quilted cotton mattress cover with convenient corners. Available in single, double and king size. ​Luxurious heated overblanket. Available in single, double and double dual. Intellisense is the best technology to ensure you sleep safe and sound throughout the night. 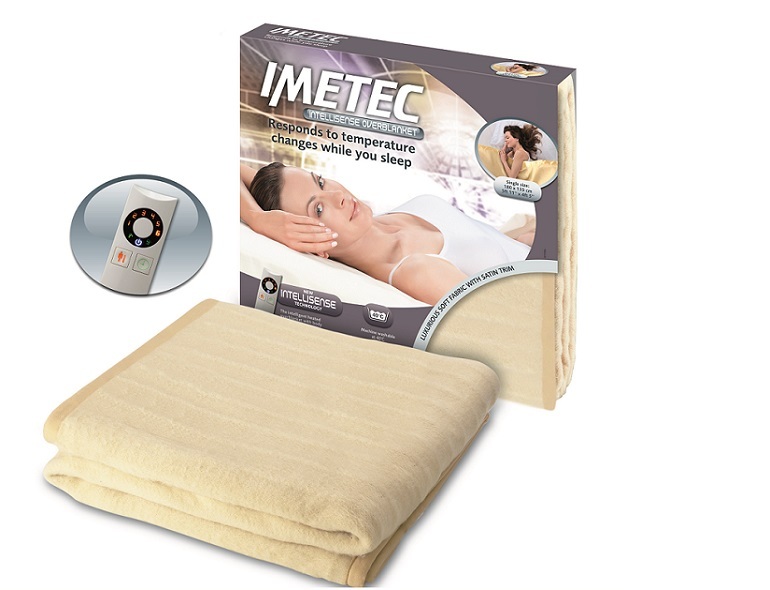 Imetec’s Intellisense Underblankets and Overblankets respond to temperature changes while you sleep. The body responsive temperature sensor maintains your chosen temperature precisely. Intellisense is in control. Set it and Forget it! Intellisense. Intelligently simple. We offer a wide range of premium single, double and king size underblankets. 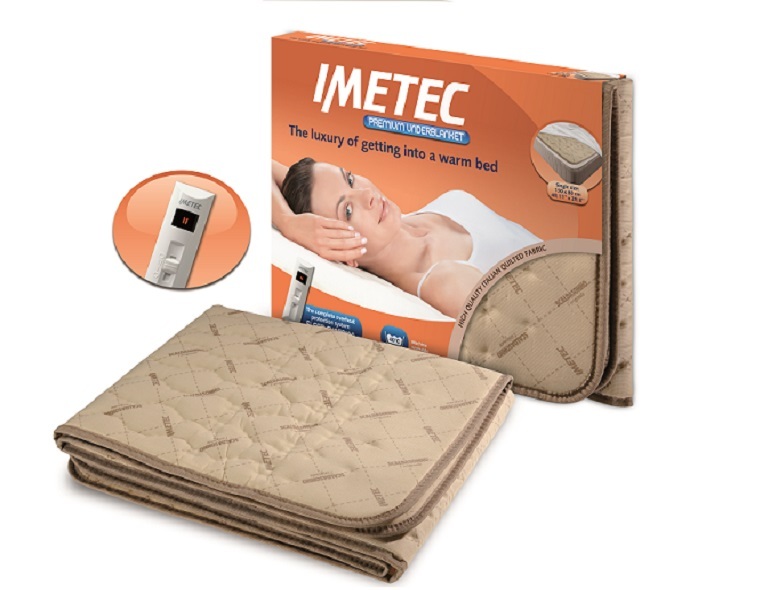 The intelligent heated overblanket from Imetec attaches to your mattress easily and adjusts temperature automatically so you sleep safe and sound. Features include: 6 heat settings, 5 minute heat up,fully washable material and a sleep guardian to prevent overheating. We offer single, double and double dual fleece overblankets. 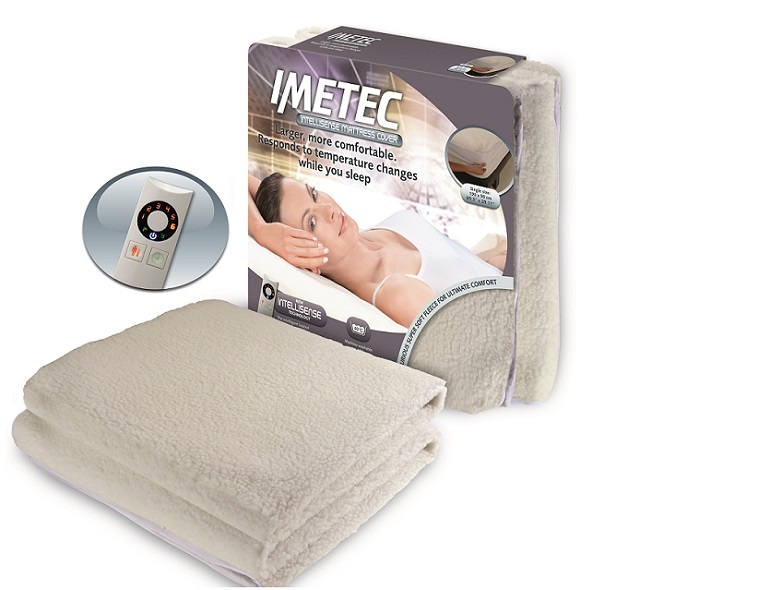 Imetec electric blankets with Intellisense technology are available now at leading electrical retailers nationwide.